Matzo -- the perfect vehicle for anything you want to eat. “Planning a big Seder dinner?” Ivane, my favorite check-out lady at Whole Foods asked as I unloaded the 10 boxes of matzo from my shopping cart. The pound of pork tenderloin, the 5-lb ham, and the 2 packages of bacon which I also unloaded were a clear tell that no, I was not celebrating Passover. I was merely stocking up on my favorite seasonal cracker before the lack of demand would take away my supply. “You only like matzo because you don’t have to eat it every day,” my Jewish friends always tell me. Maybe. Arguably, us Catholics get off easy. “No bread” is one of the many paths to self-denial we can chose from during the Lent season. And since I’m an “Only When She Flies” Catholic, giving up bread for 40 days is less about religious doctrine and more about getting ready for beach season. For me, giving up bread for Lent is less about religion and more about beach season. 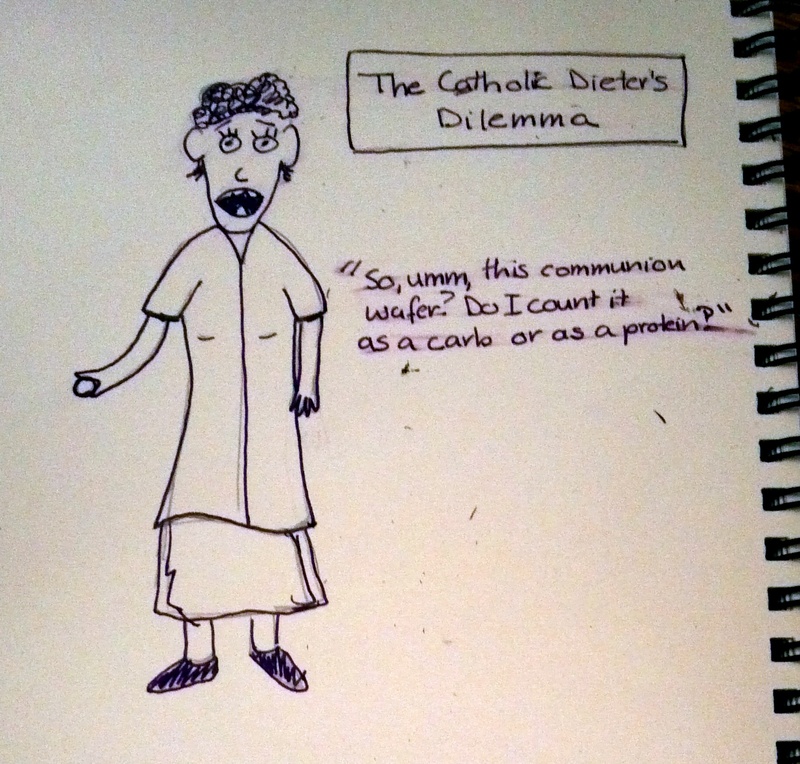 Then again, if Catholics had to replace every slice of bread with communion wafers during the 40 days of Lent, and I saw a friend willingly consume the tasteless disk of starch, I’d probably think she was crazy too. But a communion wafer doesn’t come close to matzo on the utility scale. Matzo’s chalky tastelessness and sturdy physical presence make it a great vehicle for anything you could possibly want to stack on top of something before you eat it. Peanut butter and honey. Chocolate and caramel. Smoked salmon and chives. Aged Gouda and ham. A slab of butter. Or you can crumble it into stuff, like soup. 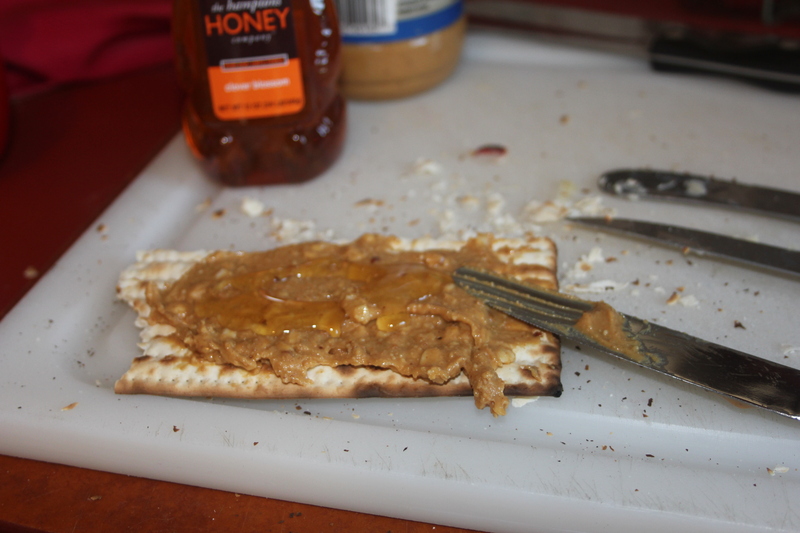 Matzo’s lack of flavor means it doesn’t interfere with what you really want to eat. Its crunch is an appealing bonus characteristic. As I unpacked my groceries and tried to make space in my pantry, it occurred to me that 10 boxes might have been excessive. Apparently, besides making a lot of crumbs, the big drawback to matzo is that it’s packaging doesn’t fit in a breadbox. 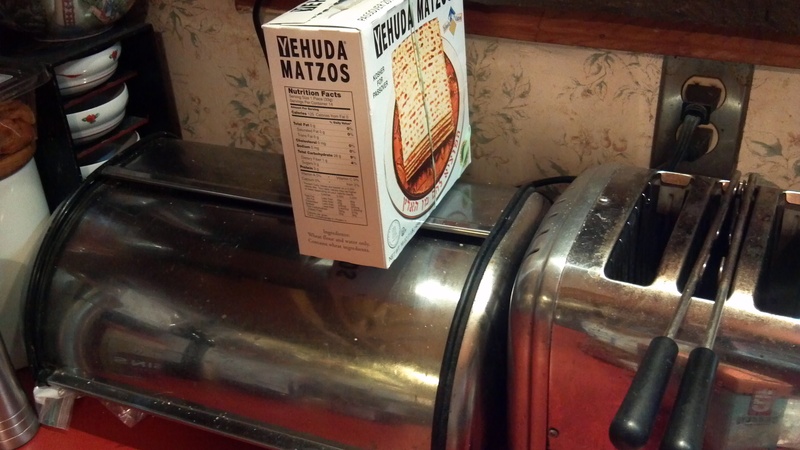 Maybe if the boxes of matzo fit in my breadbox, it'd be less obtrusive in my kitchen. I couldn’t find mazoh, so I just went for the four glasses of wine. Happy spring holidays! That sounds like a far more sensible idea if you ask me!